Chicken n Egg is simple. It just specialises in chicken and eggs. 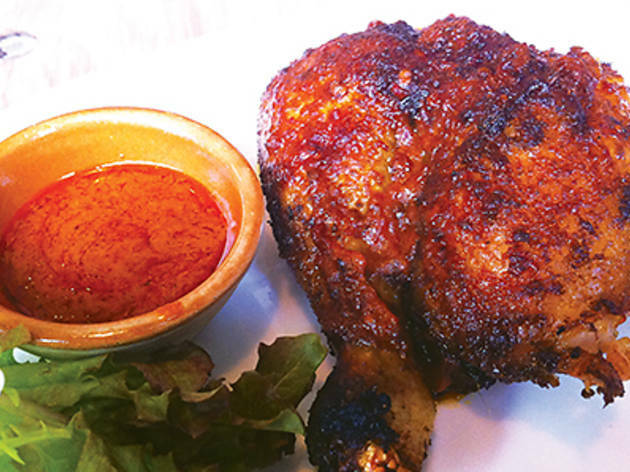 The bird menu serves three main flavours of roast chicken – house style, Mexican or curry marinade – in quarter, half or whole portions. And while the eggs menu offers all the ova options you could conjure up – from Benedict and scrambled to sunny-side-up – you can also choose to add additional eggs at a small premium. There are plenty of sides and desserts to boot, so don’t worry about the menu lacking variety despite the simple concept. With the chicken, the house style ($58) appears to be just salted and peppered but the marinade is well absorbed into the meat and even the breast portion is tender and juicy. 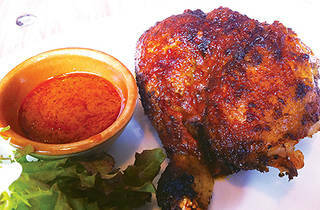 The Mexican roast ($63) is just as supple, with a strong tangy flavour, but could be spicier for those who love hot Mex. There’s also an eggs royale ($75) option, which arrives with a generous portion of perfectly pink salmon – the eggs are incredibly runny and are a great match paired with the stiff bread. Chicken n Egg 79 Tak Ku Ling Rd, Kowloon City, 9383 5742; facebook.com/chickennegghk. Dinner for two: around $150.